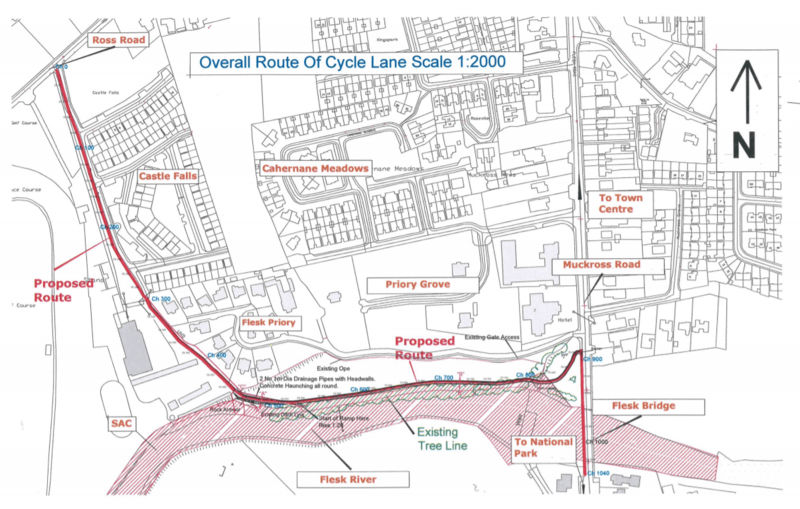 Kerry County Council is planning to build a walking and cycling route between Ross Road and Muckross Road in Killarney. The route, around 1km long, will partly run along the River Flesk and will link parts of the town more directly with Killarney Demesne at one end and the Killarney National Park at the other via an existing route. Submissions and observation can be made to the council before 5pm on Friday September 15, 2017. Details can be found on the council’s website. Does anyone know if this plan ever progressed any further?